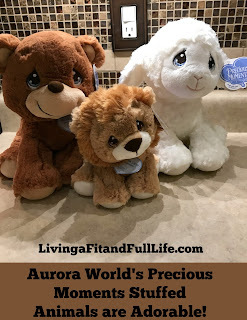 Aurora World's plush toys are some of the softest and cutest around! My kids love stuffed animals and no matter how many they have they always ask for more. Aurora World's Precious Moments collection is absolutely adorable. I love how incredibly soft they are and how their big eyes just beg to be played with. I was sent Luffie Lamb, Charlie Bear and Hamilton Lion and have to say these have to be some of my favorite stuffed animals ever! My son is 18 months old and he loves them and has to have at least one to sleep with at bed time. 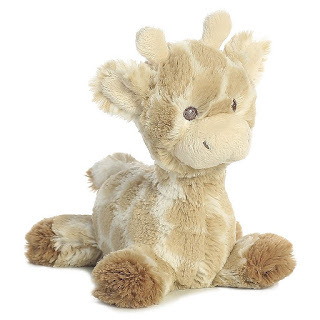 Aurora Baby's Loppy Giraffe Rattle is not only incredibly adorable but I also love that it has a rattle so baby can shake it around and listen to it's delightful sound. It's incredibly soft and would be loved by any baby. 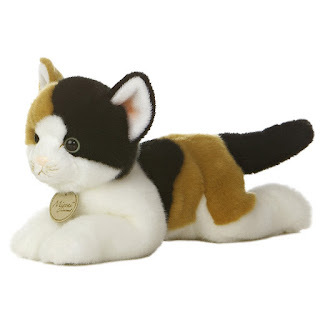 Aurora World's Miyoni Calico Cat looks and feels very realistic and was totally adored by my eight year old who loves cats. The entire Miyoni collection looks amazing and my eight year old has already added a few more to her Christmas wish list. 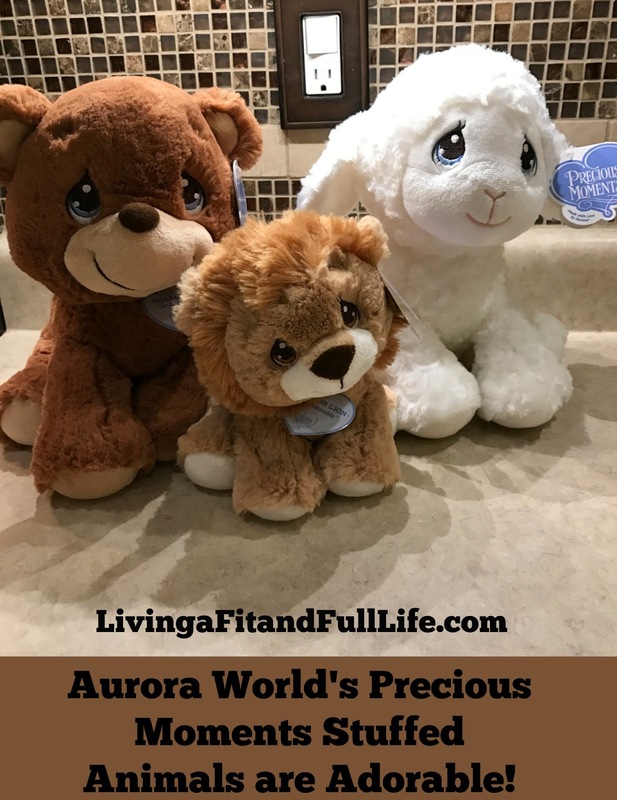 Aurora World's plush toys are perfect for kids of all ages and would make terrific gifts this holiday season!